See also list of Dutch and Flemish paintings in the Brukenthal Museum in Sibiu, with some 75 images. On Sunday morning many of the delegates made use of the free passes provided by the TEFAF to visit The European Fine Arts Fair. 14:00 Maastricht, Bonnefantenmuseum: delegates were met inside the front entrance to the museum by the new CODART associate Wietske Donkersloot. A simple registration process took place and the delegates were given their name badges. The cost of the bus to Cologne was charged to those traveling that way: 20 guilders. Participants not going on the study trip were asked for 10 guilders for the bus in Cologne on Monday afternoon. A lavish high tea was served by the Bonnefantenmuseum in a closed room behind the grand café of the museum. 15:30 Maastricht, Bonnefantenmuseum: opening session Congress opening by Dr. Virgil N. Constantinescu, Romanian ambassador in Belgium and former president of the Romanian Academy of Science Peter van den Brink spoke briefly on the background to the new exhibition in the Bonnefantenmuseum, which came forth out of a meeting between him and Eliška Fuèiková at CODART TWEE in 1999. Unfortunately, Dr. Fuèiková, who was also scheduled to speak, was taken ill and had to return to Prague before the congress. 18:00 Bus transfer to Cologne. 20:00 A reception was offered by the Dutch consulate-general in Düsseldorf. The group was greeted by C.G.J. van Honk, consul-general. The dinner was paid for by the participants. Both took place at a characteristic Cologne Brauhaus restaurant, where CODART had the stylish first-floor Kaminraum room to itself. The menu was typical Kölsch. We were greeted by our curator member Ekkehard Mai and, around 9:30, by the director of Wallraf-Richartz Museum, Dr. Rainer Budde. The congress sessions of both mornings were chaired by Stephen Hartog. The chairman of the board of CODART, Henk van der Walle, greeted the congress with the announcement that the finances of CODART were secured for the coming four years by a grant from the Netherlands Ministry of Education, Culture and Science, supplemented for the years 2000 and 2001 by a grant from the Ministry of Culture of the Flemish Community. A brief members meeting was chaired by Gary Schwartz. The activities of the Program Committee were outlined and the members thanked. The only other committee that has been functioning is that on Latin America, whose members have brought in a new associate member from Argentina. An appeal was made to the other committees to confer and report to the rest of the membership on developments in their countries. Further appeal to all to feed the website and participate in CODART-L, so that CODART can fulfill its promise of being not a one-week-a-year organization but a presence for 365 days of the year. CODART EEN (November 2001): Visit to Moscow for the exhibition of Dutch and Flemish drawings in the Pushkin Museum. CODART VIJF (March 2002): 10 March in Maastricht and 11-12 March in Bruges. On March 13th we will hold a joint study day in Antwerp with Historians of Netherlandish Art, whose own congress will take place in Antwerp on 14-16 March. 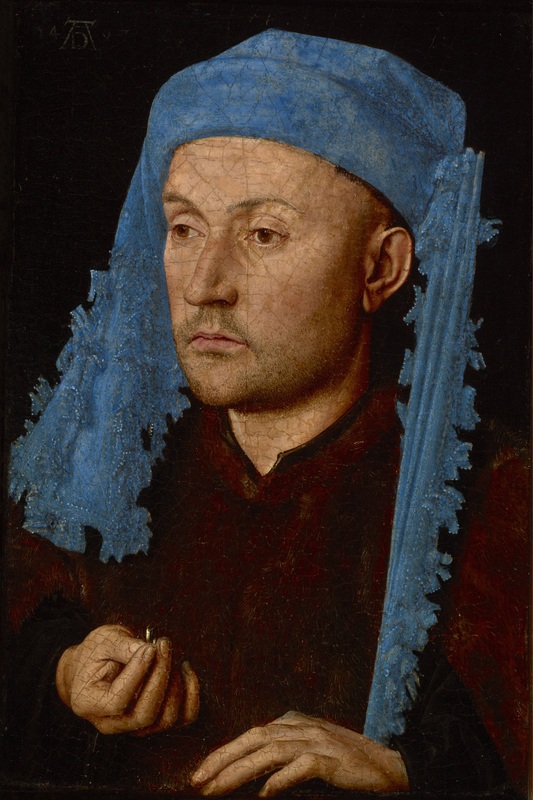 Because the museums of Bruges will be holding exhibitions on early Flemish painting, capped by the exhibition on Jan van Eyck and the Mediterranean in the Groeninge Museum, our congress will in all likelihood be devoted to the dispersal of 15th-century art from the Netherlands. In order to avoid conflict with HNA and for meteorological considerations as well, the study trip will not take place immediately following our congress. The trip, to Edinburgh and nearby collections, will be held in early June 2002, on the basis of a plan by Julia Lloyd Williams. This visit coincides with an exhibition in the National Gallery of Scotland on Rubens and Italy, to be curated by Jeremy Woods. CODART ZEVEN (March 2004) (erroneously said to be the plan for CODART ZES, which is still open): Dutch and Flemish art in France. Congress in Amsterdam at Maison Descartes, with whom contact has been established. Helen Wüstefeld of the Catharijneconvent reviewed exhibitions of the past years and discussed plans for renovating the museum. She invited proposals for borrowing parts of the collection during this process. She ended her talk with a presentation to Gary Schwartz of an excellent edition of selected articles by Paul Dirkse, who passed away in January 1998, in the week when the invitations went out for CODART EEN: Begijnen, pastoors en predikanten: religie en kunst in de Gouden Eeuw, Leiden (Primavera Press) 2001. Guus van den Hout, the newly appointed director of the Catharijneconvent, told of plans for collaboration with the Metropolitan Museum of Art. Olga Kotkova of the National Gallery of Prague described the situation of her museum. The quick succession of ministers of culture and directors of the museum has had a paralyzing effect on operations, which the staff is struggling to overcome. Manfred Sellink, newly appointed director of the Municipal Museums of Bruges, spoke of the vast scale of those museums and their numbers of visitors. In the coming years a major re-organization is planned for the location of offices and services, with some reshuffling as well of the collections among the various museums. The Groeninge Museum is to be completely rehung, following the Jan van Eyck exhibition next year. Sellink also referred to the plans for CODART VIJF, which will complicate the lives of his staff in the very last days before the opening of the exhibition but which he nonetheless wishes to host. Jan Piet Filedt Kok, Rijksmuseum Amsterdam, handed out a sheet outlining the changes at the top of the museum and plans for the coming years. Exhibitions are planned on Dutch and Danish painting of the two countries’ respective golden ages (2001), Dutch draughtsmen in Italy (2001), Rococo in the Netherlands (2001-2002), Michael Sweerts (2202), Albert Cuyp (2002), French still lifes (2002-2003), Hendrick Goltzius (2003) and Delftware (2003). Of course the plans for the Nieuwe Rijksmuseum was touched on. This project too, like those in Utrecht and Bruges, create possibilities for borrowing parts of the collection while work is in progress. The impressive publication program of the Rijksmuseum was also commented on, as well as exhibition plans in the further future. Lia Gorter, Foundation for Cultural Inventory, and Vadim Sadkov, Pushkin Museum of Fine Arts, invited the membership of CODART to visit the exhibition of Dutch and Flemish drawings in the Pushkin in November 2001. Zsuzsa Urbach of Budapest presented the new Summary catalogue of Early Netherlandish, Dutch and Flemish paintings in the Old Masters Gallery of the Museum of Fine Arts, vol. 2 in a series of summary catalogues. The book was edited by herself and Ildikó Ember. This completely illustrated presentation of more than 800 paintings is a great step forward in making the collection optimally accessible. 11:30 Visit to Wallraf-Richartz Museum, Part One. 14:00 The Schnütgen Museum of Medieval Art was opened to us on the closed Monday by chief curator Dr. Hiltrud Westermann-Angerhausen. This museum too is to be closed shortly for major renovation. Dr. Westermann provided a brief history of the museum and stayed with the group during the visit. A curator of the museum greeted us and answered questions during a one-hour tour of the outstanding display of decorative art from the middle ages to Jugendstil. a collector of Dutch and Flemish paintings and drawings. Although the collection is only 12 years old, the couple have succeeded in assembling a top-notch group of works by masters like Judith Leyster, Jan van der Heyden, Aert van der Neer, and – the latest acquisition – Willem Kalf. About 100 drawings were also on display, including sheets by Rembrandt. All the works were documented in a professional manner, in folders that were made available to the visitors. The Schmitz-Drägers offered photographs of any works in which CODART members were interested. Elegant refreshments were served. Following the visit to the MAK, the participants in the study trip moved on to the Domschatz and the Erzbischöfliches Diozesanmuseum. They were asked to relinquish their places in the visit to the Schmitz-Drägers because of the space limitations in that collection and because they would were unable to visit the museums of ecclesiastical art on the following day. 20:00 The congress dinner was held in the restaurant of the Wallraf-Richartz- Museum, catered by Café Böll. The rich buffet was generously sponsored by Jan De Maere. 9:30-10:00 Codruţa Cruceanu, The formation and fortunes of the Dutch and Flemish holdings of the National Museum of Art of Romania. 10:30-11:00 Mioara Ordeanu, Samuel von Brukenthal, his Dutch and Flemish paintings and their study. 11:00-11:30 Discussion, conclusion of congress. 11:30 Visit to Wallraf-Richartz-Museum, Part Two. 12:30 Joint lunch at Restaurant 3-Ländereck, across the street from the museum. (at expense of participants: an Italian buffet was offered for DM 32.50, exclusive of drinks). 15:00 Erzbischöfliches-Diozesanmuseum, with exhibition of the Härle donation. The receiving curator was Dr. Joachim Plotzek. 14:16 Train from Cologne to Schiphol. ICE 148. Arrival was ten minutes behind schedule, so that we could not make the 17:05 connection to Schiphol. 17:14 Departure for Schiphol, checked in for flight. 19:35 KL 1361 to Bucharest. He had a bus waiting that brought us to the hotel. “Dating from 1860, this four-star hotel is a Bucharest classic and a plush haven of luxury” (Bucharest in your pocket: the irreverent city guide). The size of the rooms and the comfortable appointments made the same impression on the CODART group. CODART was awaited at the door of the museum by the Netherlands ambassador to Romania, Pieter Jan Wolthers, and the director of the museum, Roxana Theodorescu, who welcomed the members of the group personally. The curator of European paintings, Mariana Dragu, Dana Bercea (prints and drawings), Codruţa Cruceanu (education) and Ioan Sfrijan were in attendance as well, with other staff members of the museum. Also present was Peter Oostveen, the chief contractor for the restoration and redecoration of the wing for Romanian art. The visit to the museum commenced, after a cup of coffee, with the exhibition in the prints and drawings gallery mounted for this occasion by Dana Bercea: Gods and Heroes in Dutch and Flemish prints from the National Museum of Art of Romania. On the occasion of CODART VIER, Mariana Dragu put together a special exhibition of paintings from a number of other Romanian collections: The Romanian Academy in Bucharest (the painting by Frans Francken II referred to in his opening speech by Dr. Virgil Constantinescu); the private collections of Margareta Stenian, Razvan Demetrian and others; the National Museum Center in Iasi; the Museum of Fine Arts in Arad; the Museum of Fine Arts in Cluj; the Museum of Fine Arts in Craiova; the Museum for History and Art of the City of Bucharest; the National Peles Museum; the Museum of Cris Country, Oradea; and some pieces from the National Museum of Art itself. Entitled Pictori din ţările de jos în colecţii publice şi particulare din România: expoziţie – studiu (Netherlandish painters in public and private collections in Romania: a study case exhibition) it was hung in the former dining hall of the royal palace. It will remain open to the public until July. It was accompanied by a two-language leaflet with summary entries by Mariana Dragu and English translations by Codruţa Cruceanu. It includes 12 color illustrations. This publication was sponsored by the Embassy of the Kingdom of the Netherlands. The visit to the special exhibition was the occasion for much theorizing about attributions. The Romanian curators provided adhesive tags that were used by the visitors to attach the names of artists (and only sometimes their own names as well) to the paintings. Although the restaurateur denied at 11 a.m. that we had made an appointment for 25 people and although he did not have the assortment of dishes ready that we had agreed upon with him in November, he allowed himself to be bullied into feeding us, well and within the appointed time. 14:00-18:30 Because a planned visit to the medieval galleries could not go through, it was no longer necessary to choose between the equally attractive alternatives that were announced in the provisional program. All had an advance view of the galleries of Romanian 19th- and 20th-century art. The official re-opening of these galleries is scheduled for the week after our visit, on March 26th. We were guided by the curators of this major department of the museum, Denia Matcescu and Ruxandra Dreptu. Also joining us was Peter Oostveen, eagerly asking for opinions about issues that had been debated long and loud in the preceding months, such as the colors of the walls and the hanging of the paintings. The 19th-century masters made a surprisingly fresh and delightful impression, especially the early portraits, with their combination of highly accomplished technique, strong personal flavor, intriguing sitters and unsophisticated compositions. The later 19th- and 20th-century paintings showed a predictable range of styles derived from developments in France. What made them interesting was the sheer quality of the work and the occasional strong injection of Romanian motifs. In sculpture all eyes were on the early works of Constantin Brancusi, whose name, we learned, is properly pronounced Brankush. The rest of the afternoon was spent by some in the old master galleries and special paintings exhibition, while others, in two groups, visited the painting reserves, with Mariana Dragu, and the restoration studio, under Ioan Sfrijan. In the reserves new opinions – often conflicting, alas – were offered concerning the authorship of paintings. 19:00 A coupe de champagne reception was given for us by Ambassador Pieter Jan Wolters of the Royal Netherlands Embassy in Bucharest, in the Hall of Mirrors of the National Museum of Art of Romania. In addition to the CODART delegation, there were selected guests from Romanian museums, art history institutes, other cultural and government organizations, diplomats of other governments and representatives of the foreign business community. Among the individuals we met were the ambassador of Belgium to Romania and his wife, Mr. and Mrs. Xavier van Migem; Ion Antonescu, state secretary for European Integration and International Cooperation of the Ministry of Culture and Religion; and Paul J. van Sluijs of the Netherlands Bank, who has a strong interest in contemporary Romanian art. The evening was organized by the cultural associate of the embassy, Daniela Ghitescu. 19:20 A performance was enjoyed of the vocal-instrumental group Intermezzo Cantabile, founded in 1998 by students and young graduates of the Bucharest University of Music. The conductor is Erica Jurje. 20:00 A buffet dinner was offered by the embassy in the marble hall that was formerly the swimming pool of the royal palace. The National History Museum is located in the former main post office. The treasury in the basement contains a stunning display of gold jewelry from Neolithic times to the 20th century, constituting a history in precious objects of all the civilizations that have inhabited this part of Europe. A full plaster cast of the column of Trajan, with its pictorial narrative of the Dacian wars, is displayed in easy-to-see form. B: Option for drawings specialists, from 9:00-13:00. Museum printroom, with a small number of Dutch and Flemish and somewhat more Italian and French drawings, with Dana Bercea. Attributions to: By and after Hendrick Goltzius, Rembrandt, David Vinckboons, Adriaen van Ostade, Breenbergh, Cornelis Buys, Gaspar van Wittel, Adriaen van der Werff. In the library of the Romanian Academy another exhibition was mounted in honor of the CODART visit: The Old and New Testament in the etchings of Rembrandt. Although it was closed that morning, there were other parts of the collection that had greater interest for the visitors. The main attraction was a box of about 25 Dutch and Flemish drawings, mainly from the former collection of George Oprescu. The preliminary attributions left room for new discoveries, which were indeed easy to make. A drawing of the Reformed Church of Maarssen, where CODART has its operational headquarters, labelled “Cornelis Franks?”, was clearly the work of Cornelis Pronk. Catalina Macovei, chief curator of prints and drawings of the Library of the Romanian Academy, greeted us and facilitated our visit. 11:30-14:30 Free time (the only free time in CODART VIER) was built in for shopping and lunch. 14:30 Bus tour of Bucharest, of course including at least a drive-by of Nicolae Ceauşescu’s notorious Palace of Parliament (formerly of the People), said by the guidebooks to be the second largest building in the world after the Pentagon. Built in 1984 to house nearly the entire government and its ministries, the building is 84 meters high and covers 265,000 square meters. To clear the site, 7000 dwellings, 12 churches, three monasteries and two synagogues were bulldozed. Visiting groups invariably feel the urge to pose on the monumental steps. The tour includes some more humane destinations as well. Accompanying us was a knowledgable, well-spoken and witty Romanian architect, Kazmer Kovács. 18:00 Introduction to the Museum of Collections, a unique institution, under the directorate of the National Museum of Art of Romania, which houses about 50 private collections that became state property under various circumstances since the 1950s. Although the general level is not very high, it offers a fascinating insight into the collecting behavior of 20th-century Romanians, under circumstances that were often incredibly difficult and dangerous. We were received and guided by the curators Dana Dragomir and Alexandru Măciucă. 08:15 We checked out of the hotel and left Bucharest by bus, with Catalin Pascalu and Kazmer Kovács to guide us. They took turns providing information mainly on the history and architecture of the areas through which we passed. Assistant director Rodica Rotarescu and Head of Public Relations Dana Voitescu greeted us and put us in the hands of two guides, for visit by smallish groups. Peleş Castle was built between 1866 and 1914 by Prince Carol of Hohenzollern-Sigmaringen, from 1881 to his death in 1914 King Carol I of Romania. Carol had studied art history in Berlin under Anton Springer and benefitted from close contacts with Vienna in the period when the Kunsthistorisches Museum was being built. Peleş can be considered a real-life piece of historicist art history, in which the results of the most serious stylistic, historical and technical research available was given material form, in many different styles. Dutch and Flemish paintings and copies after them play a role of some importance here. Among the copyists at work in the castle was the Klimt studio of Vienna, including the young Gustav Kilmt. 12:30 Lunch was taken at the Economat Restaurant in the Peleş Castle complex. 14:00 Departure by bus for Bran Castle (45 km). 15:00 Bran Castle, a fairytale medieval castle that was restored and refurbished by Queen Marie (1875-1938), a granddaughter of Queen Victoria and wife of King Ferdinand I (1865-1927). Through a series of deliberate misunderstandings, Bran has come to be known as Dracula’s Castle. In the castle itself, the emphasis is on the reconstruction of the bare and basic interiors made by Queen Marie, who was an accomplished artist and designer. We were to be greeted by the director, Raul Mihai, who on the preparatory visit in November and afterwards had announced his intention to join us for the visit to Sibiu. When we arrived, however, he turned out to be at a conference in Sinaia, and the castle rented out for the day to a film crew who were making a South American soap opera episode. After reaching him on the telephone and telling him what we thought of his hospitality we left for Braşov. 15:50 Departure by bus for Braşov (30 km), taking a detour through a picturesque village where Kazmer Kovács showed us a fortified church. 16:35 Braşov is a walled medieval town colonized by the Teutonic Knights in 1211. In the 15th century it was the largest city in Transylvania. On the program was a visit to the Gothic hall church of St. Mary (1383-1477), the largest ecclesiastical structure between Vienna and Istanbul. Since a fire in 1689 it has been known as the Black Church (Biserica Neagra). The balconies are hung over with Turkish rugs. Unfortunately, the church, which normally closes at 15:30 and was being kept open for us until 16:30, had been locked up a few moments before our arrival. No amount of persuasion on the part of Catalin could help, so we had to enjoy the city without the church, which was not difficult. 18:00 Departure by bus for Sibiu (150 km). 20:30 Arrival in Sibiu, check in to Hotel Împăratul Romanilor | Strada Nicolae Bălcescu 4 | 2400 Sibiu | +40 92 416490 F +40 92 413278 The best located and most colorful hotel in Sibiu, founded in 1555 as a restaurant called La Sultanul Turcilor (The Turks’ Sultan). The present interior dates from the early 20th century. We were awaited there by Maria Ordeanu and Sanda Marta. 21:00 Dinner was eaten at Restaurant La Turn, in the central square. It is owned by Jan De Maere and his Belgian companion Paul Jounet. The dinner, which was offered to us by Jan De Maere, opened with a tumbler of ţuica (pronounced tsvika).Although the population of Sibiu is now largely Romanian – that is to say Wallachian – it was largely inhabited by Saxons – German-speaking peoples who came to Transylvania in waves throughout the second millennium. Their numbers were reduced sharply in the Second World War, when they were impressed for service in the German army, and after the war, when the Russian occupiers moved most of them to Siberia, where they perished. Present at the start of the dinner was the new German mayor of the city, the very popular Klaus-Werner Johannis. Located in the palace of Samuel von Brukenthal (1721-1803), governor of Transylvania under the Habsburgs, the most important 18th-century building in the city. It was built in the years 1778-86 to house the collection, which was opened to the public in 1817, making it one of the oldest continuously functioning museums in Europe. We were greeted by Director Alexandru Lungu, who is recovering from a serious illness. Several curators were present, among them Maria Ordeanu and Sanda Marta. Some 500 Dutch and Flemish paintings out of a total of ca. 1300 old masters paintings. Brukenthal’s painting collection was included in the 1773 edition of the Almanach von Wien as one of the most important private collections in the city. The museum holds some 1300 old master paintings from the 15th to the 19th centuries, including some post-Brukenthal acquisitions. There are about 500 Dutch and Flemish paintings, including many unpublished works by minor masters. See the provisional list drawn up by Peter van den Brink. 13:00 For lunch we took a 15-minute bus drive to the outskirts of Sibiu, where Jan De Maere once more, at another restaurant that he owns with Paul Jounet, treated us to a Romanian lunch on the grounds of the open-air Astra Museum. 15:00 A walking tour of the center of Sibiu began with a visit to the Evangelical Church, an idiosyncratic Gothic church partly built on the foundations of a Roman basilica. The nave is lined with spectacular Baroque funerary reliefs. Our guides were Kazmer Kovács and the monuments curator at the Brukenthal Museum, Dr. Alexandru Avram. 15:00-18:00 Those who preferred returned to the museum, where the reserves remained open for the entire afternoon. A small group was given access to the early 16th-century Flemish Brukenthal Breviary. 19:00 A reception in the Baroque Rooms of the museum was followed by dinner in the museum. We were the guests of the museum and of the director himself, Dr. Alexandru Lungu. The dinner was extraordinary, including an immense suckling pig and stuffed pike. 08:15 The bus left for Otopeni Airport (300 km). 10:00 En route we stopped at the late 14th-century Cozia Monastery, where a service was in progress. We were allowed to walk among the worshippers to admire the Byzantine church and its decorations, some of which date to the 15th century. Across the road we entered the younger Old Chapel, which contains an exceptionally elegantly disposed fresco decoration from the 17th century. 14:00 After a stop for lunch at the Pioteþti MacDonalds, arrival at airport. 15:15 KL 1360 from Bucharest to Schiphol. 17:20 Arrival in Schiphol, goodbyes.